A little reported cut in UK recycling targets came after heavy lobbying from the plastics industry – according to documents lodged as part of a consultation on the move. The documents also suggest recycling efforts across the UK are under pressure with some local authorities cutting back on recycled waste collections. The UK government quietly reduced recycling targets for plastic waste last year, after dozens of lobby groups and plastic producers pushed to lower the rates. Buried in the 2016 March budget, the government announced that targets for plastic recycling would be reduced from 57% to a mere 49% for 2016 and then increased by 2% each year to 2020, to a maximum of 57% by 2020. The move has sparked concerns that the UK may cut back on efforts to curb plastic waste after Brexit – when EU rules will no longer apply. Officials argue the move to weaken targets was brought in ‘to reduce the burden on business’ in general – including small retailers. However, Unearthed research suggests the move was in response to lobbying from the plastics industry. Unearthed obtained 62 of the 63 responses to a government consultation on recycling targets. Sixteen of the respondents were industry lobby groups, while a further nine were producers of plastics products. All but one of those 25 responses pushed for a reduction in recycling targets. Those that took part in the consultation were given three options for plastic recycling targets, two of which involved reducing the targets, albeit at different rates. The majority of respondents to the consultation were plastic producers or industry groups. Of those all pushed for a reduction in the targets. In their responses they pointed to “minimising long term compliance costs on producers” and “market difficulties” in making recycling profitable. By comparison the environmental groups, local authorities and some recycling companies tended towards pushing to keep targets where they were. Recycling and waste disposal company Biffa pushed for no change to the targets saying: “from the viewpoints of environmental benefit, and the promotion and maintenance of the UK recycling infrastructure, we believe that there is no alternative but to maintain Option P1 [no change to targets]. Others respondents noted severe problems in the UK’s recycling infrastructure. One response complained of “the inconsistency of plastic recycling collections across the UK, due in part to the low value of recycled plastic”. Indeed, recycling organisation RECOUP’s latest plastic collection survey found that the reported collection levels of plastics have slowed down and there has been a reduction in the number of local authorities offering kerbside plastic collection services. The move to leave the EU may leave the door open to a further watering down of targets. Before the Brexit referendum, the UK would have been party to the EU’s Circular Economy Package which has yet to be implemented. 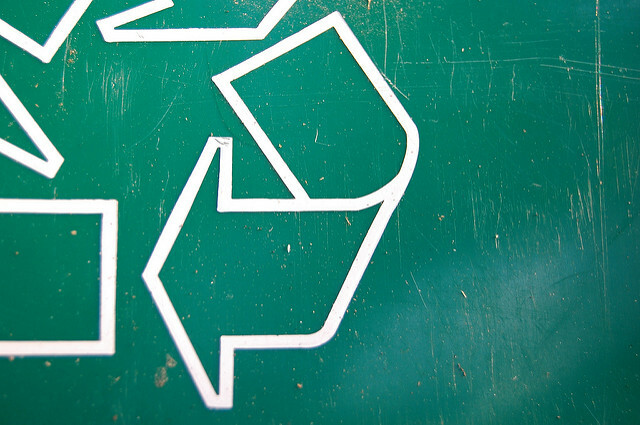 The directive will implement a common EU target for recycling 75% of packaging waste by 2030. But with the UK leaving the EU, there will be little to stop the UK government slashing its own recycling targets further. These findings come just a few weeks after Unearthed revealed that Coca Cola and other plastic producers have been blocking a deposit return scheme for plastic bottles in Scotland.